Remember the glorious Brie en Croûte With Pistachios & Almonds that I posted a few weeks ago? You may remember that in that post I mentioned that I made it when we went to Kumar’s house back in late January. When I packed all the ingredients I neglected to pack one important spice: Ground Cardamom. Thankfully, I was at an Indian household where cardamom is standard. Phew! Low and behold ground cardamom is nowhere to be found in Kumar’s pantry. Now, I should have known this little piece of information, since I helped him unpack his boxes and organize his kitchen when he recently moved into his new house. But I didn’t! Kumar came to the rescue and immediately offered to help out by grinding some cardamom pods for me. He took out his little mortar and went to work. At this point of this post I need to come clean and make a confession. 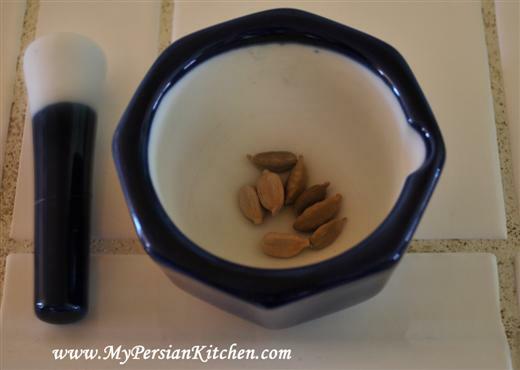 The good Persian girl that I am, I always have a jar of ground cardamom on hand, but I also always have cardamom pods on hand because I love to brew my tea with cardamom pods. Needless to say, I have never had to use cardamom pods to make ground cardamom. <deep breath> I assumed that everything got crushed together. So wrong of me to assume!!!!! So this post is for all the folks like me who didn’t know that the cardamom husk needs to be removed…I do claim to know a lot, but I sure don’t claim to know everything!!!! First crush the cardamom pods enough to break them up so that the seeds are exposed. Make sure that all that is left are the seeds. 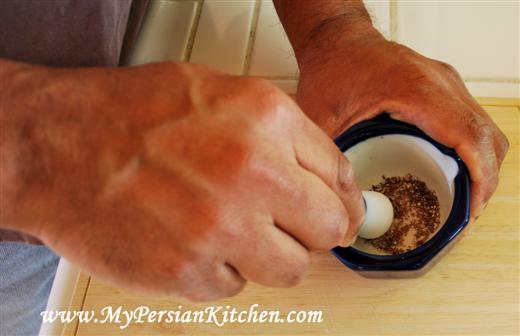 Then proceed to grind the seeds with the pestle. Thank you Kumar for teaching me something I didn’t know!!!! And to think all this time I was doing it wrong. I never thought to remove the husks! I tried your Fesenjoon and invited my Danish friends. They LOVED it. Thanks to you. I now want to try Ghormesabzi. I noticed that you’ve mentioned ” 4 bunches parsley, 1 bunch cilantro…..” My question is, How much is a bunch in terms of gram or volume? It’s non measurable. I know it’s obvious for most – but I am unsure and I want to get it right. PS: I am so glad for your site – I find myself going though all your wonderful art for HOURS. Informative post. Confession Time: The Cardamom Police might come after me for this one, but sometimes when I’m in a HUGE hurry, I throw entire pods into my spice grinder and let it rip. Then I use a wire mesh to “strain out” the powder. Then I discard any bits of hull that are left in the mesh strainer. I know, I know. Bad girl. 😉 I need to just buy a proper jar of pre-ground cardamom and call it a day, because all I have on hand currently? Pods! Dear Reza, you just made my day! I am so glad that your fesenjan came out well! 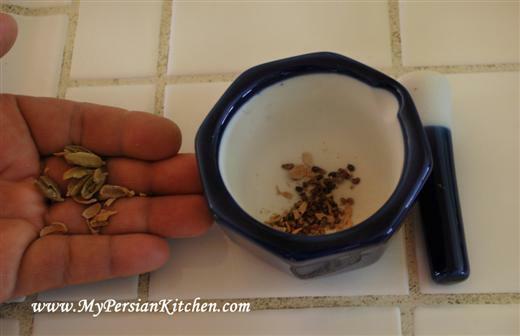 I don’t have a recipe for ghormeh sabzi yet, which recipe are you referring to about the bunches? @ Laila, Oh my God! I am not alone!!!! I am so glad I posted this!!! First of I would like to thank you for taking my trivial questions seriously. Next, I just want to say that I must have mixed up Ghorme sabzi with Khoroshte karafs. 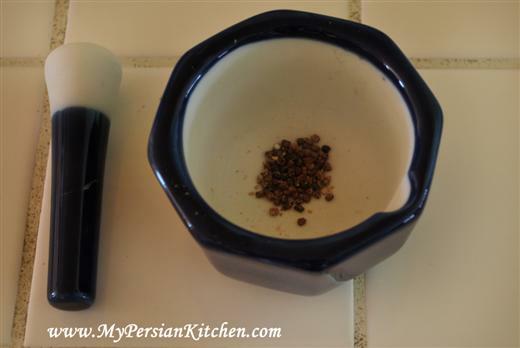 Looking at the link: http://mypersiankitchen.com/?p=176, it is referes to “1 bunch green onions, chopped, 2 bunches of mint, 1 bunch of parsley. How much is this “bunch” in terms of volume or weight? Dear Reza, AHA! So green onions, there is usually 5-6 green onions per bundle. I would say there are generally 1 cup of mint per bunch and 2 cups of parsley per bunch. I hope this helps! Your inquiry made me realize that I should be more precise when it comes to herbs. Good call, my friend! 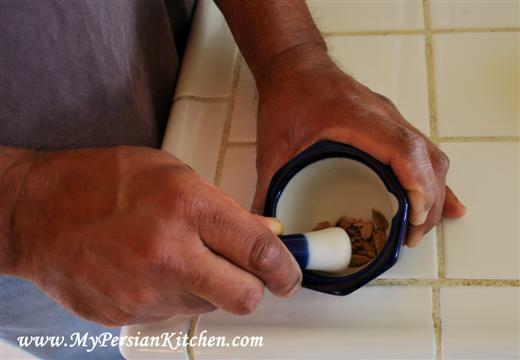 when i read your “confession” about cardamom, I was surprised because I thought everybody knows how to clean/grind them. As a little girl I loved halva and sholezard (I still do but don’t have much time to make them) and when my mom was making them, my job was to un-pod the cardamom and grind them, i was happy to do it because i knew what the outcome was, delicious halva or sholezard. Wow, thank you for this great Web page! It answered my question exactly, and with photos to boot. Thank you for this tip, it’s just what I needed as I only have the pods. Thanks this was so helpful. I was trying to make a banana lassi when I realized the recipe called for ground cardamom and I only had cardamom pods on hand.